99% of PowerPoint slides and 99% of stock images are 2 dimensional: showing an object or a shape on a flat background. When looking for your next stock image, try picking out those that add 3 dimensional depth. 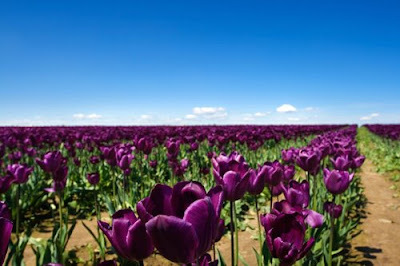 The image of the flower field above (bought on iStockPhoto) is a good example. The whole point of the picture is the depth, not the objects in the photograph. A good image to support something that goes on and on and on, or a new and untapped source of information that all of a sudden becomes available.